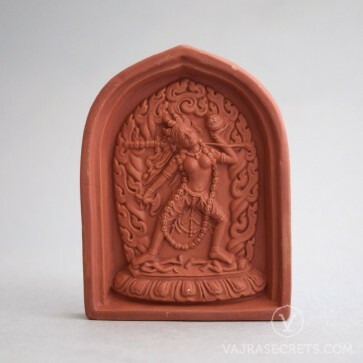 Make a connection with Buddha Vajrayogini whose practice promises enlightenment in just one lifetime with a Vajrayogini clay tsa tsa, containing precious herbs, holy items and the blessings of the lineage masters. Perfect for smaller shrines, workstations and portable travel altars. As each tsa tsa is handmade, there may be some variations in colour and texture.